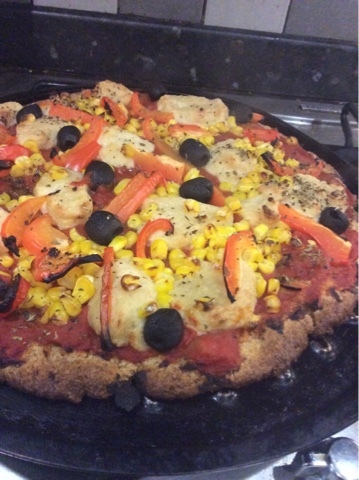 Are you, or anyone you know doing Veganuary? It's a month-long, go-vegan challenge that's been on for a few years now, and for those with an inclination to start the New Year off with a resolution, or who missed Vegan Month back in November, you can't get better than this! There are so many simple and healthy vegan recipes online, vegan websites and Facebook support groups you can join, vegan products in mainstream supermarkets all over the world, and a plethora of vegan eateries, food trucks and pop-ups everywhere you look... going vegan has never been easier! - And going vegan has also never been more important, as more and more scientific research is pointing to animal farming as the cause of devastating pollution and environmental change worldwide; case in point the vast "dead zones" around coasts and in the oceans due to warming sea temperatures and animal waste run-off. This will have a huge negative impact on all species, including humans if it isn't curtailed as soon as possible. 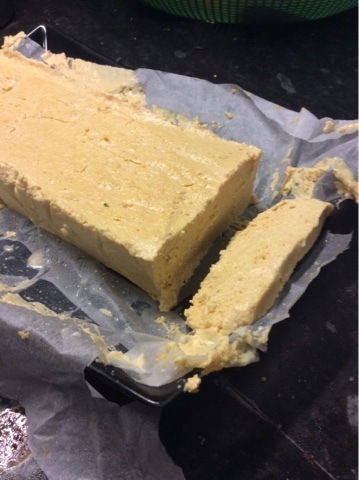 But getting back to the positive side of things, we thought we'd share with you a couple of our vegan cheese-making adventures, since cheese is one of those flavours and textures the newly-vegan (and also ex-cheese lovers like me who have been vegan for years!) miss the most. 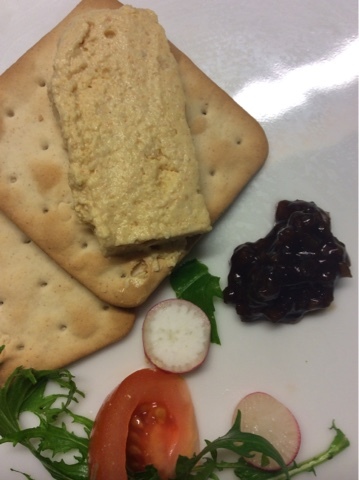 Since bought vegan cheeses are inevitably weird-tasting, nutritionally almost empty, really expensive, or all three of those things making your own plant-based cheeses should probably be on every vegan's to- do list. 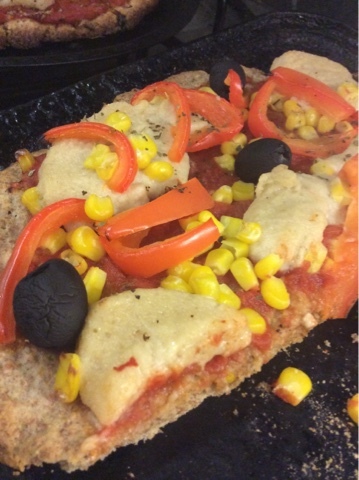 To make it even simpler for our readers, I looked around the internet, where there is a bewildering array of cooked vegan cheese recipes. 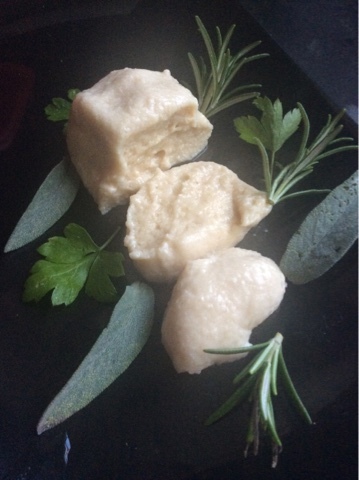 Sure, we have our own raw vegan soft/ sauce cheese recipes (see here and here for a couple of them), but every once in a while you might want a cheese you can slice or melt. Something you can make with ingredients you either already have or can get easily to use in sandwiches, pizzas etc. 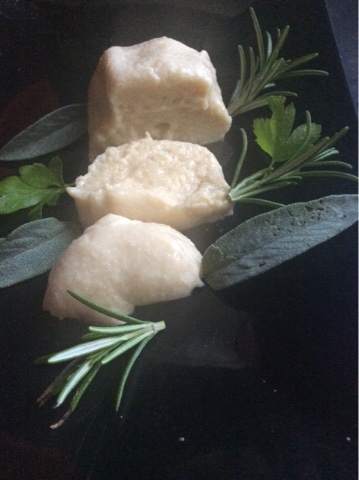 I narrowed down the possibilities and adapted three recipes to make two cheeses for just such uses. They are simple and fairly quick to make. *Using coconut oil would probabaly give a more solid result, and you might not need the agar. 1. Put all the ingredients, except 1 cup water and the agar, in a blender until smooth. Set aside. 2. In a small saucepan, stir agar into 1 cup water. Cover, and heat over medium-high heat until boiling. Reduce heat and simmer for about a minute. The liquid will thicken a bit. 3. As soon as it has thickened pour the agar liquid into the blender with the mixture and blend until thoroughly combined. 4. Line and oil a tin/ silicone mould. I used a loaf-style tin. Pour/ scrape the mixture into it and refrigerate until set. Our verdict: Delicious flavour, but a little softer than expected. Next time I would use coconut oil and leave out the agar. Will also try soya milk and tapioca. 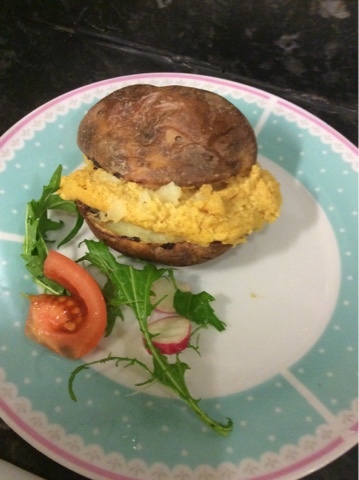 It's also good in a jacket potato, but although it softens and loses its shape it does not truly melt. My take on it is more of a Cheddar-mozzarella mashup; great on pizza. It came out of the blender thicker than expected- were the tabs of tapioca more like dsps in the original recipe?- so I added half a cup more water. I also subbed 1 dsp miso for the nutritional yeast (I think that's what gives it the Cheddar-y flavour and off-white colour) and added a further tablespoon of lemon juice. This recipe makes a good quantity of mozarella balls: enough to top two large pizzas and have a few left over for sandwiches etc. Probably because I used miso rather than nutritional yeast, it has more a of Cheddar/ mozarella mashup kind of flavour. I always used to find mozzarella on its own too bland on pizzas, so this is perfect. I was impressed with just how much like mozzarella these cheesey balls look and feel! Put everything into a blender (preferably high speed) until as smooth as possible. Transfer the mixture to a saucepan and stir constantly over a medium heat for about 10 minutes. The cheese will thicken a lot and start pulling away from the bottom and sides of the pan. you'll see what I mean when you try it. Have ready a large bowl full of ice-cold water, in which about a tablespoon of salt has been dissolved. I tested whether or not the cheese was ready rather like the test for jam: I dropped a little into the water and saw if it solidified. 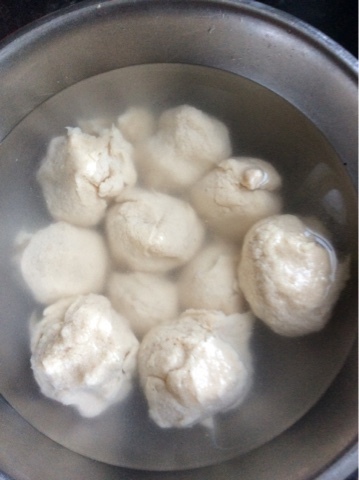 Using an icecream scoop, make balls of the cheese and put into the bowl of salty water. You can tidy up their shape with damp hands. I made about 15 balls. Keep them in the water in the fridge until needed. Our verdict: The balls came out stickier than the original recipe and pictures showed, so they were quite hard to slice. I'm not sure why. Maybe I'll try adding more water and cooking them for longer next time. We tried this cheese on pizza, and it just about had the edge on our usual pizza cheese because it melted and browned slightly without hardening or drying out and had a lovely, creamy mouthfeel and flavour. It wasn't very stringy though, as the pictures show. I'm hoping my next batch will be as stringy as the original recipe promised.